Well as the end of the year approaches I am beginning to look ahead to Boston. I have already made the decision that this will be my last Boston for the next couple of years. (this will be #4 in a row) Will it be my last marathon? NO. I have no plans after Boston. I may run another Marathon in 2011 or 2012 but I am not making any plans. 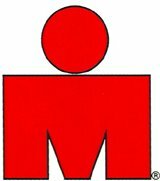 I do plan on doing a couple tris and other races through the summer I am not making any set plans after Boston. I have also decided to run this race as myself. I mean no sponsorships etc. I want to wear my own gear and just race. (I have some ideas already) I am not against any sponsorships but rather would just have my own racing gear on. I found it to be fun to be sponsored this year by Team Marathon but unless they ask me to come back I doubt I will race Boston for them. When you are sponsored (not paid) there is other work your have to do and while I enjoy it I rather not have all that responsibility this coming year. I want to stay healthy and enjoy Boston 2011.